We put a lot of emphasis on our core values: Build Something, Be a Student and a Teacher, and Make Somebody’s Job Easier. That approach helps us attract people that help us grow in the way that matters most, the quality of our work. We embed those values throughout our hiring and onboarding processes, too—in job postings, offers, and in how we evaluate performance. To help new and prospective hires get a better idea of how they could thrive here, I reached out to a few experienced team members for some advice to help them contribute to our growth using our values as a guide. We have a heavy bias toward action. The people here love to create, experiment, and keep improving — inside and outside of the office. We love to bring ideas to life. It’s just who we are. My first month at the office, I remember a lunch conversation about an ongoing project to decorate the office. Within a month, the team had brainstormed, organized and followed through on the idea. That’s just one example of how we bring things to life. Ideate. Collaborate. Action. Here are a few things consider for contributing here. If you focus on the quality of work as the primary way to measure your own growth — rather than all of the vanity metrics so many companies get lost in — you’ll never regret it. This approach results in better outcomes for our clients and gets us hyped to come to work every day with people who value quality above all else. “Everyone is highly motivated and truly passionate about their work. Where we could easily settle for adequate we instead strive for great, which allows everyone to grow and learn new things on each and every project,” says John Basoms, Account Director. Whenever you’re wondering, “how I’m doing?”, take a look at the quality of what you’re putting out in the world If you’re getting better and challenging yourself, you’re probably on the right track. For us to grow as a company, thinking entrepreneurially can’t only come from the top down. Everyone carries a sense of personal responsibility for the health and development of the company. That feeling of ownership, combined with the autonomy to take an idea and run with it, helps propel us forward. It can be daunting, but a challenge worth taking on. “You really can pursue anything you want here. You just have to go after it and speak up, but people are really open to change,” says Mel DeStefano, a Senior Content Strategist. Taking ownership of your work helps build trust with your teammates, and helps everyone grow as a leader, too. With great work comes greater responsibility. So we’re constantly learning from others. Directly or indirectly. Internally or externally. It’s a fundamental part of staying competitive in our industry. We’ve also baked teaching into our culture. It’s the responsibility of everyone at the Clique, too. From large scale endeavors like designing curriculum and teaching a course at the University of Chicago to internal sessions on SEO and horticulture, always seek opportunities to share your knowledge and learn from others. Here are some ways you can join in the cycle of learning and teaching. We encourage people to be candid with questions and feedback. Our mantra to “be the best at getting better” requires it. If a process doesn’t make sense, challenge it. If you’re wondering what the best way to communicate something to a client is, ask someone for a second look before firing off an email. One of the coolest things I’ve observed is Project Managers doing a gut check with Developers on Slack about technical stuff to make sure we’re giving the best counsel in response to a client question. The open lines of communication make you feel connected and supported in your work, too. There’s rarely something someone else has never seen before, and when there is, people aren’t tasked with figuring it out alone. This way of thinking helps us work more efficiently, too. In my first few weeks, I noticed that people at Clique love to read. Author and Entrepreneur Ramit Sethi has a book buying rule. If you’re considering buying a book, don’t waste 5 seconds debating, just buy it. Even one idea can make it worth it. I dig that. One way we encourage continuous learning is by starting our own internal library. Everyone gets to buy two books (on the company dime) to grow it when they start. And you can borrow a book at any time. Beyond that, spending time getting better at things that help you perform personally and professionally is never wasted. Feel free to take a lunch break to read, schedule time to learn something new, or share knowledge with someone, formally or just rolling their chair over to chat. Everyone learns in their own way and it’s nice to have a culture that supports that. “Clique has its own special chaotic rhythm that takes a bit to find your place in – give yourself permission to absorb, listen, shadow and contemplate as needed,” says Laura Wilson, Head of Project Management. Programs and policies aside, we’re working to continue creating a culture that nurtures and adapts to its employees’ unique ways of working. Don’t hesitate to communicate how you learn best, either. After you soak up some new knowledge, it’s great if you share what you learn with the team. 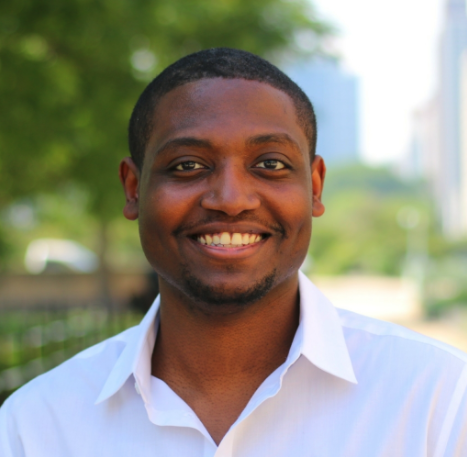 For example, Fen, a developer at Clique travels the country to lead workshops and discussions around web accessibility. Maybe you learned about a great way for explaining something technical to a client, or a quick shortcut for typing umlaut over the letter “e” on a Mac (Psst: press and hold). Share it. Big or small. It’s great to share your new found wisdom with the squad. There’s also an educational stipend that encourages us to get training, attend conferences, and develop our skills. In return, the only ask is that you share what you learned with the greater team in what we call Clique University (Clique U). That way, everyone benefits. “When faced with a challenge, we shouldn’t ask how quickly we can hand this off to a colleague or client — we should ask how quickly they’ll be able to get done once we do,” writes Derek Nelson, Co-Founder of Clique. This approach makes everyone’s job, well, easier. It’s a collective effort on the part of everyone at the company. It creates a pretty selfless atmosphere and a sense of camaraderie. Overall, just be thoughtful about how you can help your team and clients. Here are a few tips for making your teammate’s job’s easier at work. When you’re head-down trying to get things done, it can be easy to isolate and assume you have to carry the load alone. Sometimes, you can just be helpful, too. For example, as a designer, maybe write up detailed design notes so developers don’t have to do much guessing about the animations you envision. It’s the little things that add up to create a sense that everyone has everyone else’s back. Everyone has different ways of working. Being flexible and open to that goes a long way to making projects run smoothly. One way to show that is by talking about how you’d like to approach something with a teammate. Gathering feedback and sourcing ideas from others helps you work better together, and helps you get to know how a person works best. “You just have to be open and talk through ideas. Figure out how people work, be flexible, and let everyone excel where they work best,” says Daniel Nelson, Project Manager. And you don’t have to limit your ask for feedback to a project debrief. Ask during the project so you can adapt the experience on the fly. Simple questions like, “how do you think the project is going so far?” can spark a conversation about how things might be able to improve. When everyone is acting with our clients’ and colleagues’ best interests in mind, we all win. So much that it can be easy to lose track of everything that’s going on around you. But it’s important for people to feel appreciated and for the things we accomplish as a team—big or small—to be recognized. So, once a month we have First Fridays. We all get together to hang out, gush about each other, and talk about the work we’re doing. It’s an opportunity to celebrate milestones, project launches, and each other. And sometimes we go to the local bar afterward and sing karaoke. But you don’t have to wait until the first Friday of the month, either. Show your appreciation with words of encouragement, feedback, or a casual, “nice job this week,” as you head out for the weekend. Work is just one dimension of our lives. We understand that you’re well rounded, full of diverse interests, and passionate about issues outside of work. You should explore those interests. Clique offers up to one full day of PTO to volunteer for something you’re passionate about, too. Many people surveyed for this article mentioned it as a benefit they forget about. So remember to take advantage of that opportunity. Also, feel free to use your skills to champion a cause you care about. 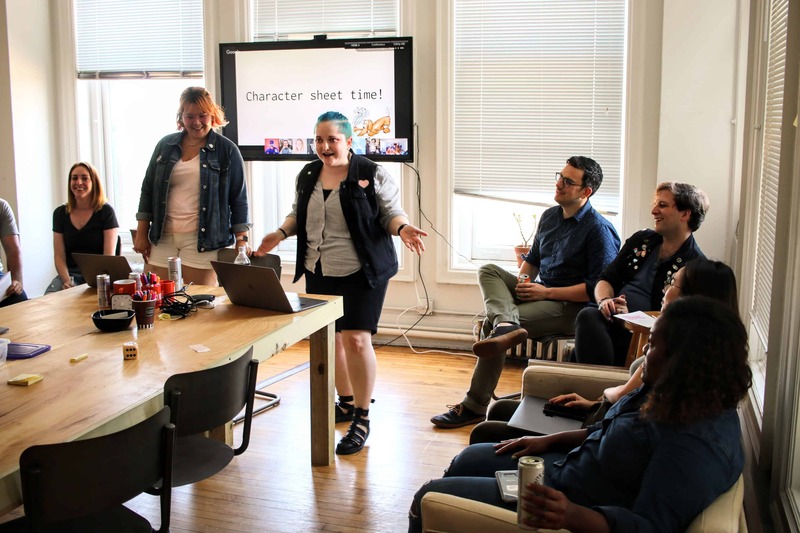 Some of our team recently put together a 24-hour fundraiser to help Howard Brown Health, an organization dedicated to supporting trans, nonbinary, intersex, and gender nonconforming individuals with health resources and services. We raised $2,130. In my first one-on-one meeting with our co-founder, Derek Nelson, he said that we don’t hire for culture fit. We hire people that we want to help grow our culture: to change the company and make it a better version of itself. I took that to mean, “do you”. Use our values—that we share—as a compass, and be yourself. It’s why we hired you. You have permission to say “I don’t know,” check your email constantly (or don’t), challenge the way we do things, stay home when you’re sick, prefer tea over coffee, and whatever else works best for you. I feel like that’s getting the people part right.